Every week the lovely Rochelle gives us a photo that has been donated to her for us to write a story or poem in 100 words or less. Not as easy as it sounds. If you want to have a go, then click on the Friday Fictioneers image, and if you want to read what others have written, then click on the froggy. Oscar bought a bouquet of flowers and skipped a little as he left the florist. Heading home on the bus with a grin on his face, his mind went back to an evening of passion with Wendy. He remembered all the things she did to him, and his breath caught at some of the moments. His mind stuck in the evening, he missed his stop and had to walk a fair way home. He stopped as he noticed a familiar vehicle in his driveway. It was Wendy’s car. She was visiting his wife. He knew there would be fireworks now. This entry was posted in Photo Fiction and tagged August, August 2016, Creative Writing, Creativity, Fiction, Flash fiction, Friday Fictioneers, Online Writing, Rochelle, Short Stories, Short story. Bookmark the permalink. Haha! Great story, with a nicely timed ending! I’m tempted to say, “Poor Oscar!” when really I should be chastising him most severely in a moralistic way. Oh dear. I like the matter-of-fact way you tell this. Hahah – loved the story! Oh great twist Al. Didn’t think he’d have a wife. 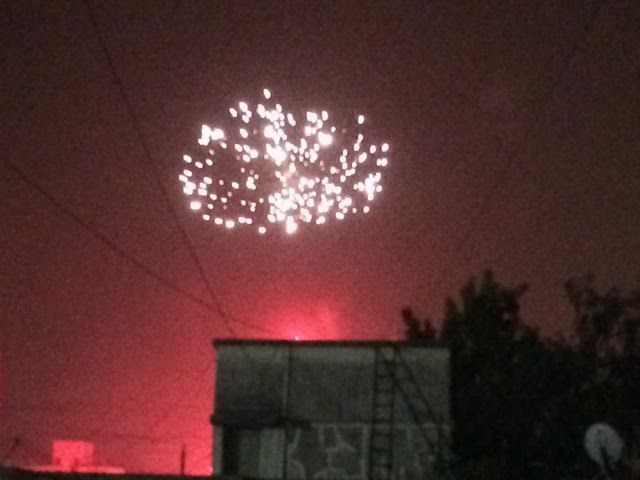 There will certainly be fireworks btw girlfriend, wife, and the main character — a married man. Great write! Thanks Mandi I don’t think things are going to go well for him. Love it, you old dog! Heh, just casually ask the question whilst quaking in his boots. Yes! I believe he is doomed! As he should be! Yep. No way out for him on this one. I think I would have left before the firework… He’s doomed anyway, and it might be less painful to leave. Haha yep. Run away. Always start somewhere else. Either way, it is not going end well for him. Now that is a story I want to read, you have to write the rest of this some day. Thanks Charlie, I may well do. haha An engrossing prompt and love the picture. Oh dear this is going to be the fireworks of all time. It’s definitely not going to be pretty. Busted…and so he should be. Great take on the picture. Yes, there will be firework indeed. And there I was thinking, nice romance. 😀 Great twist, great take, and now I know for whom he bought these flowers. They’ll be slapped in his face, I’m afraid. Oscar’s in line for a rocket, I suspect. Good one. Ha, hope Oscar gets what he deserves, that jerk! I don’t think there is any way this is going to end with a good result for him. Nice use of the prompt. Yeah, Oscar’s got some ‘splaining to do. Good one. Thanks Rochelle 🙂 I don’t think he’s going to be able to talk his way out of this one. I always smile when a cheater gets their just desserts. Thanks Lynn. Ha, great twist. Think he’s in a spot of bother….! Just slightly. Serves him right for cheating. Just slightly 🙂 Thanks Iain.